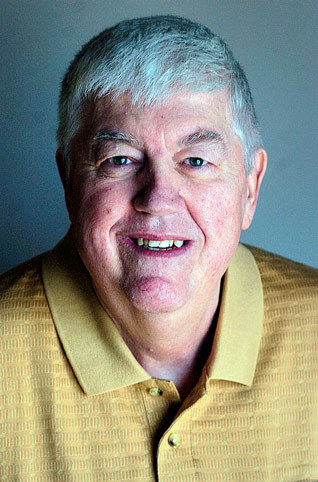 A 14-time Wyoming Sportswriter of the Year, Bob Hammond is one of the most well-known and longest-running sportswriters in Wyoming newspaper history. He began working at the Laramie Boomerang in March of 1964. Excluding four years at the Tucson (Ariz.) Citizen, he has been at the Boomerang for 38 years. A 1974 graduate of the University of Wyoming, Hammond has won 31 individual Pacemaker Awards from the Wyoming Press Association for column writing, feature sports writing and news sports writing. While working for the Boomerang, he has personally covered almost 400 Wyoming football games, over 900 Cowboy basketball games, and countless UW women’s basketball games, volleyball matches, baseball games and wrestling matches. He has written for the Boomerang during seven UW athletics directors, eight basketball coaches and 11 football coaches. He has covered six Cowboy bowl games, and five Wyoming appearances in the NCAA basketball tournament. He has been Wyoming’s state representative to the Heisman Trophy for 21 years. He has been a member of the Football Writers Association, and a four-time member of the group’s prestigious All-American Committee. He was awarded the first-ever Wyoming High School Coaches Association “Contribution to High School Athletics” award. He is the only sportswriter to have a rodeo bull named after him (Boomer Bob) by the Burns Rodeo Company of Laramie. He was inducted into the Wyoming Sports Hall of Fame in the summer of 2006, and received the Lifetime Achievement Award. He was an original member of the University of Wyoming Intercollegiate Athletics Hall of Fame Committee.